Want To Surprise Your Future Wife With This? Think she will love it? We know she will! Get her one now and have it in plenty of time for Valentine's Day! Beautiful necklace. Good quality and delivery was quick. Great product! Worth the money to make that special someone smile.. 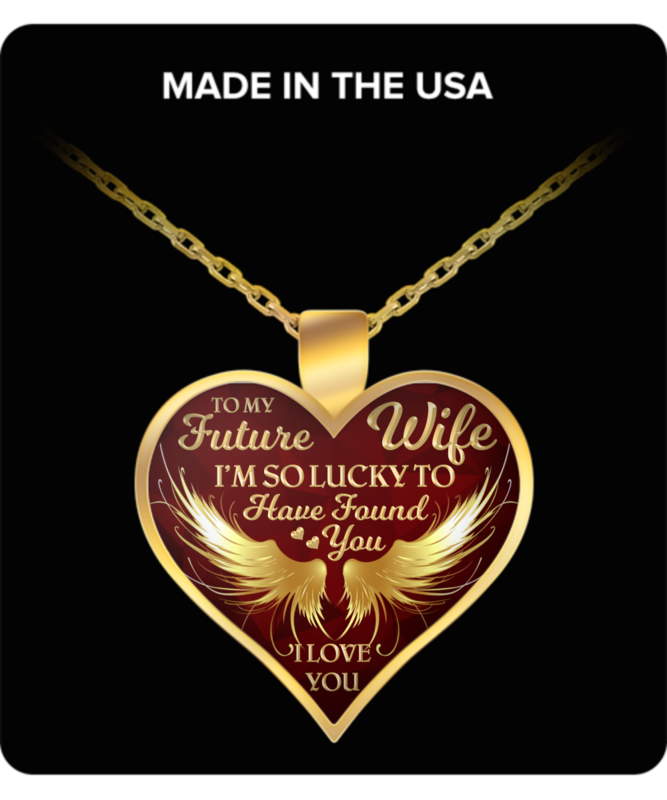 I was very happy with the neckalace and the coffee mug I purchased for my fiancé the delevery tune was fast and the communication on where the items where in the process of being made and when the shipped even the confirmation for the rice or if the order was spot on!! Great job look forward to purchasing other items from you all. I was very happy with my most recent purchase......and how well made the necklace was thank you..